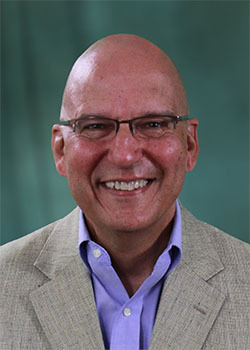 KNOXVILLE, Tenn.—Tony Mezzacappa, director of the Joint Institute for Computational Sciences (JICS), is continuing this semester campus-wide colloquia at UT Knoxville departments to share how anyone who relies on computing for research can benefit from the resources and expertise that JICS has to offer. The conferences have taken place in 11 different departments from across the colleges of Arts and Sciences, Engineering, Communication and Information, and Business since last spring. So far this semester, at least three of the talks are planned, with six others confirmed for scheduling. A video recording of his first colloquium can be viewed on the Nuclear Engineering Department Web site. During the colloquia, Mezzacappa describes how the resources can be used for high-performance, large-memory, or high-throughput computing, as well as other applications, and he provides a series of use cases as illustrations. “If people are computing and hitting walls, they should contact JICS, because we can assist them” he said, noting users might encounter many different types of impasses that JICS can remedy, such as an inability to find the proper resources, jobs taking too long, an inability to run enough jobs, insufficient memory, or deficiencies in data analyses. Mezzacappa says during the talk that JICS offers the benefit of those resources through the auspices of its National Institute for Computational sciences (NICS), which is one of five national centers for advanced computing. To bridge researchers to the machines, he notes, JICS houses computational scientists with domain expertise, knowledge of the most up-to-date applications, and an understanding of the semantics used in different disciplines. Further, he explains how JICS’ Application Acceleration Center of Excellence, referred to as AACE, prepares users for new technologies that are on the horizon, thus helping them avoid the project disruptions that stem from the need to adopt new technologies.